Jane comes to Construct from north central Vermont. She served as Executive Director of the Clarina Howard Nichols Center serving those affected by domestic and sexual violence -an organization similar to the Elizabeth Freeman Center. As affordable housing was a primary obstacle to safety, under Jane’s leadership Clarina expanded their response to that need. Jane has worked with housing and homelessness in Washington DC and Kansas City as well as Vermont. Jane’s educational background is in Music Education with a Bachelors degree from University of Wisconsin-River Falls and pastoral with a Master of Divinity from Lutheran School of Theology at Chicago. Primary interests include building compassionate community through intersectional approaches to racial equity and social change. Jane and her partner, Ellen Maxon, are both originally from Wisconsin and, as such, as avid Green Bay Packer fans. They have four children and five grandchildren. They enjoy theater, music, books, good food and many seasonal New England/Berkshire outdoor activities. Recently retired, I was Director of a Municipal Library for 23 years. During that time I was on a Library Cooperative Board. I served as a National Trustee of the ALS Association for 7 years and as a Board member of the Greater New York Chapter of the ALS Association for 15 years. I was elected to both a local school board, serving for 6 years, and then a regional high school board for 6 years. I currently live in Southfield and NYC with my husband Eugene. Peter is starting his 10th year as a Director of Construct, Inc., having served during that time as the organization’s Vice President, Secretary and Treasurer. He also serves on the Board of several other local and regional nonprofit organizations. Peter is an attorney with a practice throughout the United States specializing in Commercial Real Estate. He has been involved in the construction of many housing projects and apartment buildings. He lives in Sheffield with his wife, Hester Velmans, a noted author and translator. In his role as Chief Financial Officer, Keith has led financial operations at companies across the spectrum from technology startups to Fortune 500 firms. Keith has more than 30 years of financial expertise at innovative, rapidly growing companies. Keith recently retired from Thinking Phone Networks, where he was responsible for financial guidance, strategy and oversight for the company. Before joining Thinking Phones, Keith held CFO positions at several Boston area technology companies including Kiva Systems (acquired by Amazon.com in 2012) and Acme Packet (NASDAQ: APKT), where he was responsible for securing venture financing and leading its successful 2006 initial public offering (IPO). Prior to that, Keith served as EVP and CFO at Duracraft Corp. (NASDAQ: DUCR) where he led the company’s 1993 IPO and 1994 secondary offerings and the company’s subsequent acquisition by Honeywell, Inc.. Keith began his career as a certified public accountant at Coopers & Lybrand. Keith and his wife Arleen recently retired and became residents of Great Barrington. Prior to relocating to the Berkshires, Keith and Arleen resided in Sharon, MA where Keith was involved in financial leadership positions at Temple Israel of Sharon. Keith is also an AARP Tax-Aide volunteer in Southern Berkshire County. The Rev. Janet Whaley Zimmerman, Ph.D. serves as Priest in Charge at Grace Church: an Episcopal Community in the Southern Berkshires here in Great Barrington. Janet served as a priest in Texas and Washington DC before coming to the Berkshires. Prior to studying for the priesthood and being ordained, she worked as a teacher of children and later as a university professor training undergraduate and graduate students to work with children and youth with disabilities. She lives in Great Barrington with her husband. After a long and rewarding professional career in Creative Services, traveling the world to design stores, packaging, advertising and promotional material, Michael decided to leave NYC and the corporate world to work on more personally creative and satisfying projects. Moving to upstate NY, to what had been a weekend home, he and his husband started Red House Design. There he served as President of the local Chamber of Commerce and was a member of an ad hoc committee that successfully secured a regional hospital satellite as a local health clinic in our town. In 2012 we relocated to Great Barrington, after having been visitors to the area over many years. We have been very fortunate in our business and personal lives here and are thankful to be in a position to give back to the community. As an architectural designer, I believe deeply in the power of places to transform peoples’ lives for the better. Nick is a partner at the law firm of Hellman Shearn & Arienti LLP, in Great Barrington. He is a Stockbridge native who returned to the Berkshires after practicing law in Boston from 2006 through the end of 2009, and currently lives in Lee with his wife Francine and their son Evan. Nick’s law practice focuses primarily on residential and commercial real estate transactions, zoning, permitting and land use matters. Nick is Chairman of the Lee Finance Committee, serves on the Board of Construct, Inc., and is a member of the Board of the Southern Berkshire Chamber of Commerce. Stacey Billups is a design and product management consultant working in technology. She moved to the Berkshires in 2015 after growing up near Detroit and living in Chicago and New York City. Her love of nature and the community influenced her to call the Berkshires home. She enjoys hiking, skiing and yoga. Additionally, understanding why and how people do what they do fascinates her. She analyzes workflow and actions to design systems for change to reduce costs and improve operating efficiency. She has a strategic engagement with Construct to find ways technology can better support the organization. Robert graduated from Harvard College and Harvard Law School. He worked on law reform in Washington and New York before teaching at Southern Methodist University Law School in Dallas for 7 years. He served as Dean of the Law School at Cleveland State University. Bob was Senior Vice President and General Counsel of Searle, a multi-national pharmaceutical company, before serving as President of the University of Baltimore for 14 years. Tony resides in Pittsfield, but is known in Lenox as Tony Casablanca. His love is retail and is the owner of Casablanca (Lenox) and several new clothing and a shoe store in Great Barrington. Construct is delighted to have a merchant from Main St., Great Barrington on the board as well as representation from the Lenox area. Jane comes to Construct through her friendship with several of our current board members and is very community focused. Jane started the Jewish Women’s Foundation in Berkshire county, she created and developed the VIM coupon book, and she has been a very strong fundraiser for various community organizations. Jane’s commitment to our work is strong and she has many wonderful ideas for Construct and the upcoming 50th Anniversary. Evan Hardcastle was born and raised here, in the Southern Berkshire County, on a small dairy farm. He now lives in Housatonic with his wife Sarah. Evan’s early twenties were spent guiding outdoor adventures for kids between the ages of 12 to 18. At age 23 he began a career as a builder and is now a part owner of the company 377 Builders; a profit share building company based out of Housatonic MA that specializes in high performance buildings. Rabbi Neil P.G. Hirsch joined the Hevreh community in July 2015. Originally from Houston, Texas, he came to the Northeast for college and stayed for the weather and the hiking. He attended Tufts University for his bachelor’s degree, and received his masters and ordination from the Hebrew Union College-Jewish Institute of Religion, in New York City. Prior to his time at Hevreh, Rabbi Hirsch served Temple Shalom in Newton, Massachusetts. He is married to Rabbi Liz P.G. Hirsch, who is an assistant director at the URJ Eisner Camp, located in Great Barrington, Massachusetts. John James is an architect practicing in the Berkshires since 1986. He received a Master of Architecture degree from Harvard University. Since moving to the Berkshires he has been actively involved in civic and community affairs, having served as a selectman in Sheffield and is currently on the Sheffield finance committee. He has also served on the boards of trustees for Jacob’s Pillow, The Mount, Hancock Shaker Village, and the Berkshire Bach Society. Originally from Pittsfield, Mass, Marcia earned her Master’s Degree from Columbia University. From 1969-2003,she taught Advanced Placement English Literature and Composition at Great Neck North High School in Great Neck, New York. She is the author of the book Menopause and Madness, the Truth about Estrogen and the Mind, 1998. She also authored Acing the New SAT, New American Library/ Dutton Publishing Co.,1994; Test Taking Strategies for the SAT and PSAT, NAL/Dutton 1978 and 1985. She founded Test Prep, Inc. in 1978 and since then has prepared students for taking the SAT. She also was co- producer, writer and host of “The Israel Culture Caravan,” a NY Cable TV Series, 1986-1991. Mark Rosengren lives in Great Barrington with his wife Caren and 3 children: Christa, Lukas and Liam. I moved here 20 years ago from Chicago, and is a Designer/Builder of custom homes.Mark became involved in Construct shortly after moving to the Berkshires by wanting to “Give Back,” and Construct was a good fit. He has volunteered countless hours on various building projects through the years, including the offices and Men’s Transition House, Jordon House and 314 State Rd. He also recruited volunteers and contractors, working alongside of them, in building the Women’s Transition House and Priscilla’s Room. Mark has helped with many Walks and co-chaired two Mayfests. He has served on the Board 13+ years and is currently the vice president. Deborah Ryan moved to Great Barrington five years ago. She spent most of her career involved in food and chocolate manufacturing on an international scale, but was also involved in ranching in Wyoming and Montana. She and her husband Bill retired here, enjoy the Berkshires community, and are committed to promoting opportunities for others who live here to improve themselves through education. 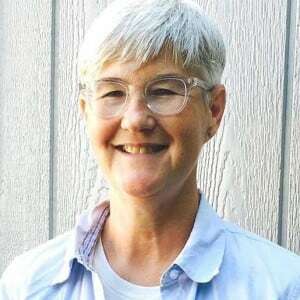 Deb also serves on the Berkshires Agricultural Ventures committee of Berkshire Grown, and CCAP, which provides scholarships and internships in the Culinary and hospitality field. I have resided in the Berkshires for 34 years. I was a principle owner in the Loring Gallery in Sheffield from 1992-2008 until my retirement. I became involved with Construct along with my husband the late Ernest Schnesel sometime in 2000. I am a former Board member of Construct. I currently hold positions on the Board of The Jewish Federation of the Berkshires, and the Executive Board of The Jewish Women’s Foundation, & Fairview Hospital, Gala Committee. 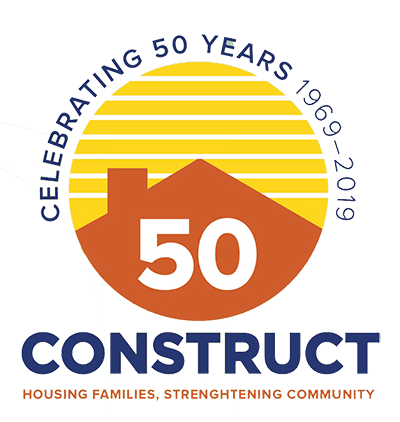 I worked along with my late husband to see the fruition of Priscilla’s house at Construct.I am actively involved in “The House That Ernie Built” Campaign. Looking forward to helping Construct to become more known in the Berkshires, branding, fundraising events, etc.It is my pleasure to continue Ernie’s vision of affordable housing and related help to this community. Caring about housing for all, precipitated Elaine Silberstein’s involvement with Construct. She has been on its board for 8 years. Many of these years she has helped with planning MayFest and the Walk. Currently she is chair of the Development Committee. Elaine is also co-president of Jewish Women’s Foundation, as well as founder of ERL Design Associates. She is married to Ben and has resided in the Berkshires for 16 years .